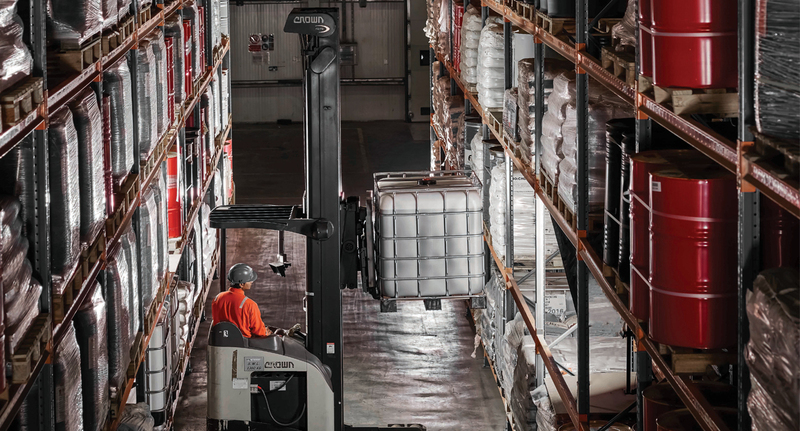 GWC Hazmat’s facilities were the first ISO-Certified and government approved to offer clients with comprehensive end-to-end Hazmat logistics solutions in the State of Qatar. We procure goods and provide inventory management and transport as per the customer requirements. Located advantageously at the two industrial cities of Ras Laffan and Messaieed, these facilities are equipped to handle over 60 classifications of hazardous materials. Our facilities are equipped with 24/7 security and CCTV monitoring, in additions to industry specific fire-fighting systems. GWC Hazmat leverages the locational advantage and the expansive capabilities of its major petrochemical hubs serving clients in the oil and gas, petrochemical, chemical, manufacturing, and raw material processing industries. GWC Hazmat provides end-to-end hazmat warehousing solutions to major oil and gas companies, including their chemical warehousing for the materials used in their plants and offshore, with monthly deliveries and dispatches to various offshore rigs. GWC Hazmat has been serving one of the largest aluminum plants ever launched, providing for their supply chain since the beginning of 2009 when the first raw materials arrived in Qatar, safely storing and handling over 50,000 tons of raw materials.